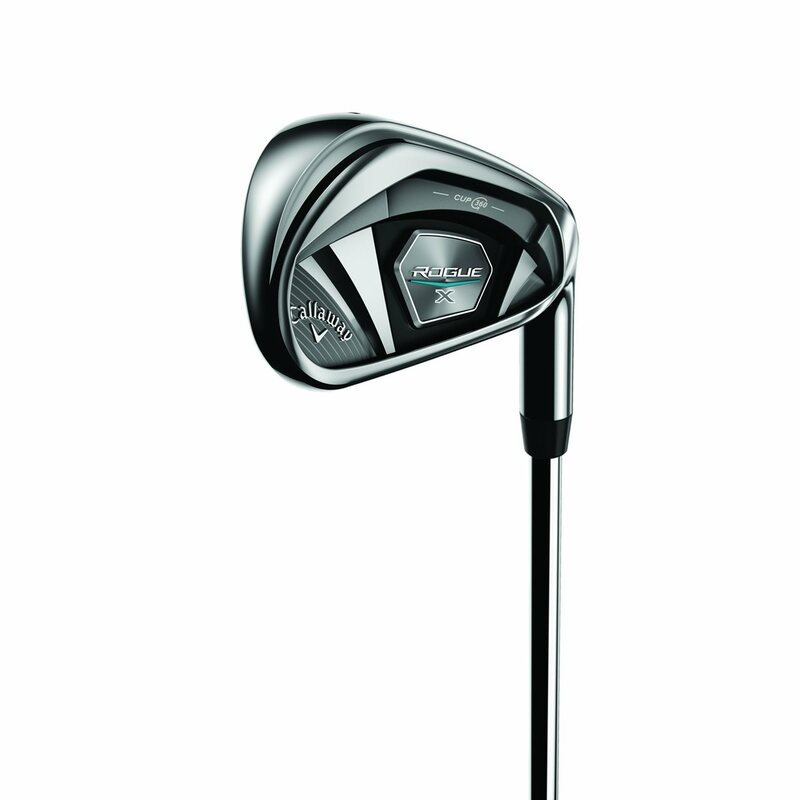 The Callaway Rogue X irons are the ultimate distance irons with lighter weights, longer lengths and stronger lofts. The irons feature 360 Face Cup technology and Variable Face Thickness (VFT) technology that work together to deliver more ball speed across a huge area of the face for more average distance. The irons are Tungsten-infused ISW to concentrate weight in a specific area, allowing precise control over CG location for optimal flight and control while the Urethane Microspheres dampen vibration of the thin, fast face to improve sound and feel without compromising COR and ball speed. These clubs have made me love the game again.Hitting the ball further than I did 20 years ago. I hit the 5 iron so well that I ordered the 4 iron a few weeks later. Ordered it bent two more degrees.Its a rocket launcher and I use it as my go to club on my second shot on the par 5s. You should see the ball fly over the 150 marker. I wouldnt believe it if I didnt see this for myself. This is the first time I have ever given a review on ANYTHING! I WANT A TWO IRON!!!!!!!!!!!!!!! Clubs look good, are forgiving and have a high launch. I've played 10 rounds with these clubs. I previously used Taylormade RSI 2 irons. I have gained distance but more importantly trajectory. The ball lands softly on the greens given me more birdie opportunities. Can't say enough good things about these clubs. Most forgiving irons I have used!! Added distance and deleted strokes. Received set from Global golf excellent product. Received on time. Best golf irons I ever used. The Callaway Rogue X irons are distance monsters, made to hit the ball high and far. Check out how the irons accomplish that here. Callaway's 360° Face Cup on the Rogue X irons is a rim around the face that flexes at impact, increasing ball speed and distance. 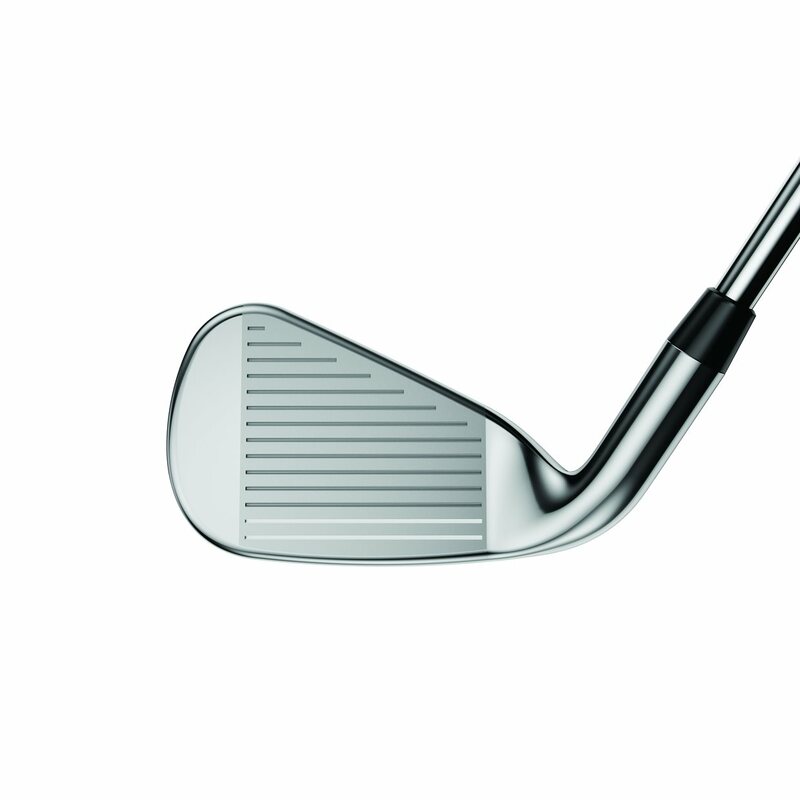 Variable Face Thickness (VFT) also gives these irons more ball speed. The face is made thinner around the outside, boosting distance on off-center hits by flexing more at impact. Behind the face of the Callaway Rogue X irons is an Internal Standing Wave made with tungsten. 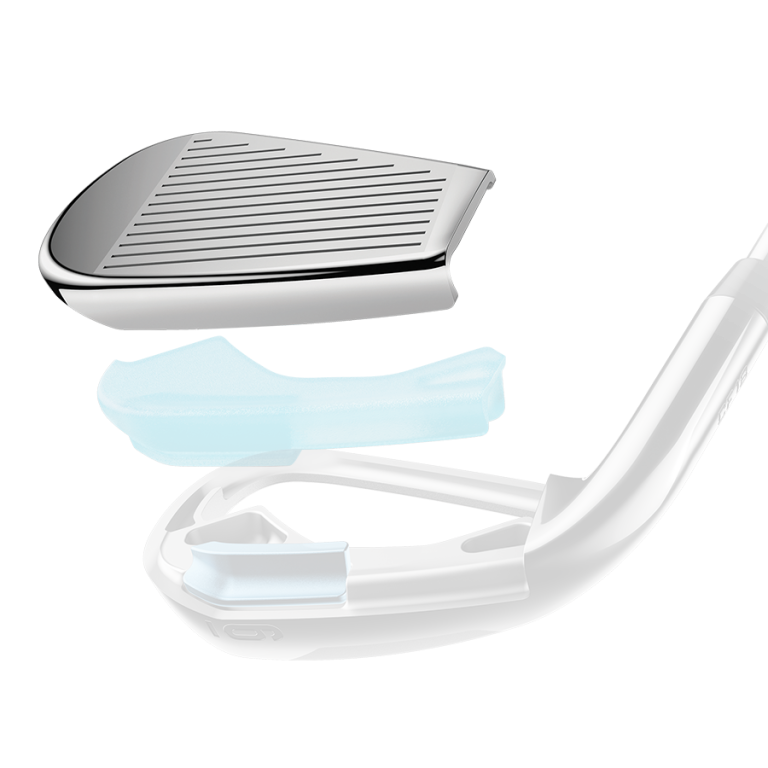 Using tungsten allows designers to optimize the CG location on each iron, giving ideal launch conditions. 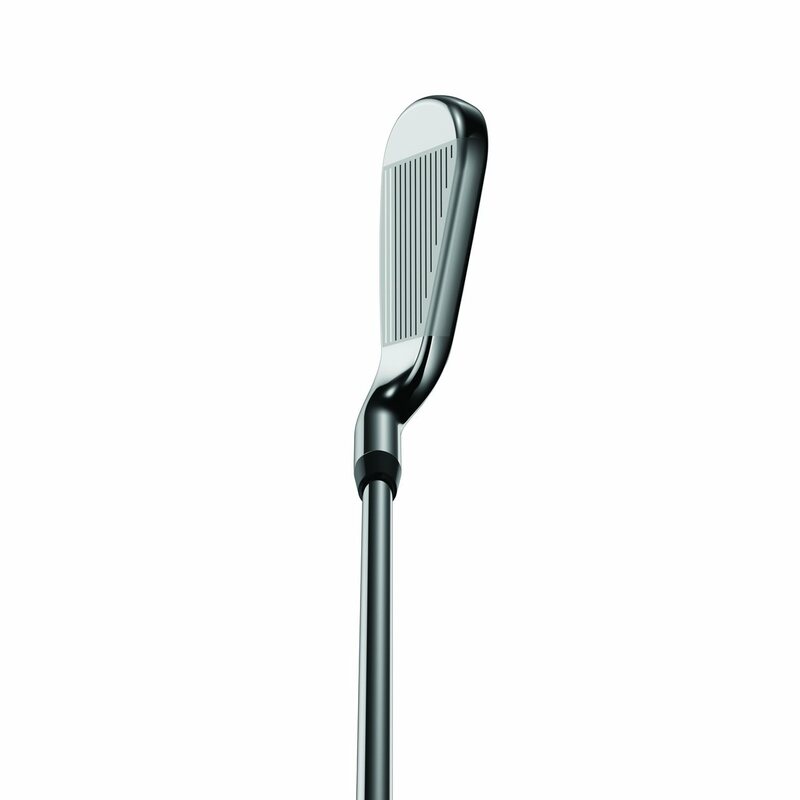 To improve the feel of the Rogue X irons, Callway uses Urethane microshperes to dampen any vibrations. The microshperes also accomplish this without hurting COR or ball speed. 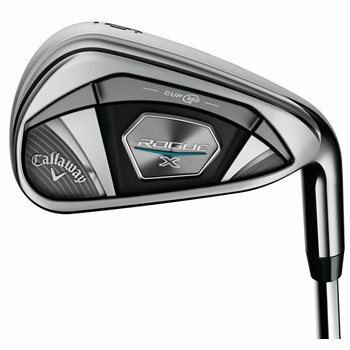 The Callaway Rogue X irons are also lighter, longer, and have stronger lofts. These traits, combined with the features above, make these irons a distance machine. The chart below has the stock specifications for the Rogue X irons.